Three years ago, Tig Notaro’s life unraveled when she was hospitalized with a life-threatening infection, suddenly lost her mother, had a long-term relationship end, and was diagnosed with bilateral breast cancer in the space of a few months. That all led to a cathartic stand-up performance at Largo in Los Angeles in August 2012, an unexpectedly career-making turn that managed to go viral without any content to distribute—word just spread of an incredible set, but only the people who were there saw it. That is, until it was released as a stand-up album called Live (rhymes with “give,” not “five”). A torrent of attention from the media followed, along with a book deal and more adulation than she’d ever experienced. The documentary Tig goes into detail about that year (minus the breakup, which is only mentioned when a segment of Live plays on-screen), in particular how the sudden loss of her mother hit Notaro hardest of all. 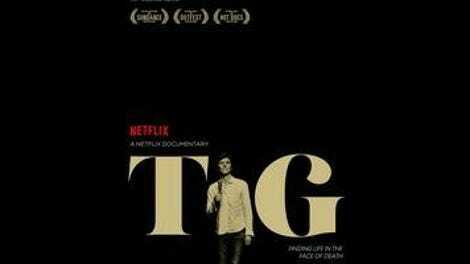 While it’s illuminating for fans familiar with the story, Tig really gets going once a cancer-free Notaro faces the curious aftermath of all of that attention: a sudden, profound loss of confidence as a stand-up. “There’s no way to follow up that album,” she tells someone in the film, and she cringes when emcees preface her drop-in sets to work on new material as if the crowd were in for another profoundly moving experience. They weren’t—she’s uneasy and unfocused in her first couple attempts back on stage, which are captured in the film. She decides to return to Largo exactly one year after her landmark set, with Tig following as she gets back into fighting shape. Notaro decides to go for it—“I either live with regret or die. What are you gonna choose? You’re gonna choose death,” she says—and Tig follows the parallel track of the comedian working with a surrogate as she develops her new material. It also delves into her romantic life as Notaro reconnects with Stephanie Allynne, her co-star in the film In A World..., and their transition from close friends to romantic partners. The montage of the two of them looking sad while taking a break from the relationship is out of place in Tig, as if it were shoehorned in from a rom-com that happens to star Notaro and Allynne. It’s a minor quibble for something that’s so enjoyable and affecting. (It’d also be nice if Renaud, Notaro’s only sibling, were interviewed, but he presumably chose not to participate.) Viewers need not be familiar with Notaro’s story to enjoy Tig, and Notaro is so likable that it’s hard not to be excited by her success—as the film shows, it’s well-earned.